This case study shows Arkhangelskgeodlobycha (AGD) , subsidiary of Russian oild company LUKoil who are currently operating Trybka Griba, used a data solution to improve the accuracy of its data. Download this whitepaper by filling in your details below. 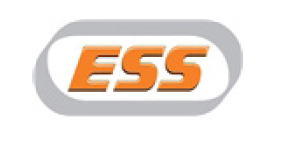 This case study shows how ESS has developed a heavy-duty, retractable idler frame that eliminates the need for most scaffolding and working at heights when changing conveyor rollers, resulting in a drastic reduction in maintenance time. Choosing the best method depends upon many factors. 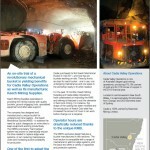 This free case study looks at three different types of material applications, including high temperature environments, where the BinMaster 3DLevelScanner was implemented across mine sites, providing unsurpassed bin volume accuracy as well as helping to improve safety onsite. Commissioned by the Myuna Colliery of Centennial Coal, this free case study looks at the installation of a new two-stage air compressor in place of two single stage compressors. The results, among other things, include savings of more than $100,000. With an identified need in mining for a solution to workers suffering strain and back injuries from constantly standing upright, and operating hand held equipment, Safetech and Clarks Mining collaborated to develop a unique drilling rig lift table. This case study details the results of this integration, which led to a reduced risk of injury and an increase in daily productivity. This case study explores the stages, technology and strategy of the Hastings Project – an exciting initiative by Hastings Rare Metals involving heavy rare earths. An on-site trial of a revolutionary mechanical bucket is yielding benefits for Cadia Valley Operations as well as its manufacturer, Keech Mining Supplies. Back in 1946, Nickolas Savko and his wife Gilda started their business in Columbus, Ohio, U.S. with a single truck and a few employees. 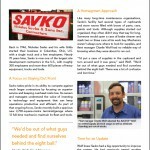 Nearly 70 years later, Savko is now one of the largest site development contractors in the U.S., with roughly 300 employees and more than 600 pieces of heavy equipment, trucks and tools.